I hope you all had a great weekend! I wore this outfit out and abut this weekend! It is so hot and humid that I love just being comfortable. And sometimes it is so nice to just throw on a hat and not have to worry about my hair frizzing! 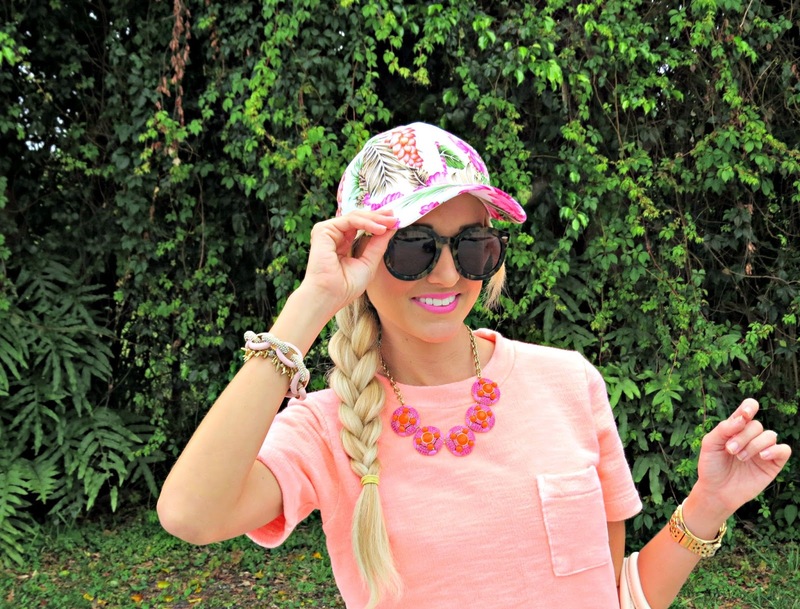 I love your baseball cap Jade... this is such a fun weekend look! 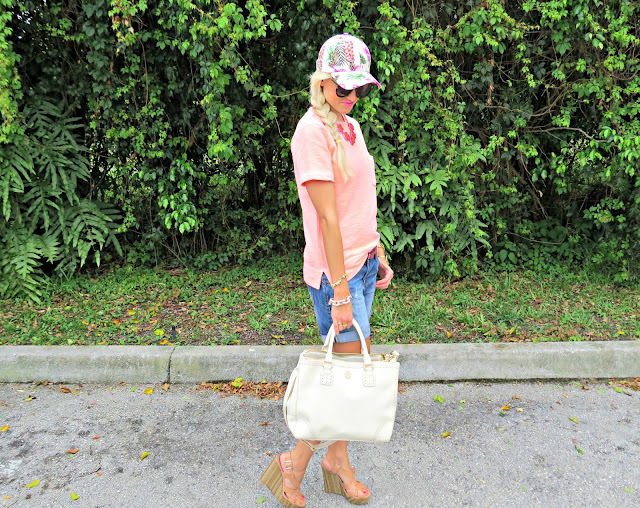 Super casual without being frumpy! The wedges and necklace dress it up... Love it! So pink and summery! I love the lip color and humid weather is the worst in the summertime. Yuck! Love that shirt color! 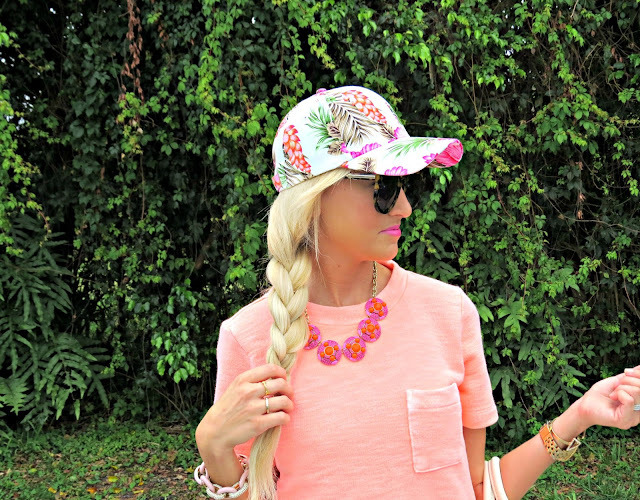 J.Crew has some bright colors! Perfect for summer! Cute outfit with the flowers and colors! Such a cute summer look. Love your hat! Cute combo doll! Loving this hat!!! I LOVE this look!!! And I just got that short sleeve sweatshirt in cream - hands down my favorite summer piece! You look great! Love the hot pink. New follower on bloglovin! I'm so obsessed with your hair. I know I've said this before, but it makes me want to go bleach my hair! So pretty. And the outfit is fab too, as always.